Also known as LFT, layflat tubing is a polythene tubing wound onto a role for continuous use. 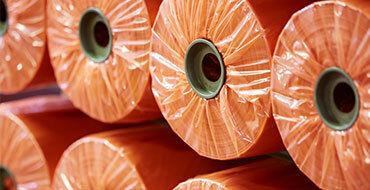 It is used extensively in packing departments, factories and warehouses to produce custom polythene bags. This flexible polythene tubing is a great alternative to polythene bags and offers maximum flexibility of bag size. Simply insert your product into the tubing, cut to length and either heat seal, tie, staple or tape both ends to make a made-to-measure polythene bag. All tubing is water resistant and available in whatever gauge you need from 25µm to 250µm for maximum protection and efficient processing. Our range of anti-static layflat tubing prevents the build-up of static electricity and offers flexible protective packaging for your sensitive electronic products. All our layflat poly tubing is made from high quality polythene to give strength and clarity. Layflat tubing, known as polythene tubing, is a continuous length of film that creates custom bags of almost any shape and size. It protects products from dust and dirt during manufacture and transit. For added security, layflat tubing can be sealed with either a heat sealer or bag ties. Our layflat tubing is wound onto a core and can be customised to almost any length or width. All tubing is rotated before winding to ensure even winding tension. Palagan's gusseted layflat tubing is similar to continuous layflat tubing with the addition of two gusseted panels. These gusseted panels give the tubing a rectangular profile. This means that it is able to open wider than layflat tubing and therefore able to accommodate larger products. We customise all our layflat polythene tubing to exact customer specifications. Static levels, stiffness, strength, winding tension and slip levels are just some of the factors that can greatly affect the performance of the tubing you use. We adjust these properties and develop bespoke films to maximise your output and minimise your packaging costs. We can manufacture any colour layflat tubing printed your own design. When this tubing is used with heat sealing equipment, it can be cut and sealed across its width to create bags and pouches. Contact us to find out how our layflat tubing can improve your packaging.